As is often the case with journalists, I was asked quite a few questions and most of my input didn’t make it into the finished article. However, I thought that what I had to say might be of interest to the readers of this blog. Read on for my thoughts on shopaholic signs and reasons, shopping influences, my top tips for recovery, and some highlights of my personal journey. This post is a very good encapsulation of the things I’ve been writing about on this blog for over three years now. Does this image resemble any of your recent shopping experiences? How can someone recognize when they’ve become or are becoming a shopaholic? The sign that is most often focused on is debt. If a person finds that he or she is incurring large amounts of debt as a result of shopping, that can be a clear sign, as is being unable to pay one’s credit card bills each month. But debt is far from the only problem associated with compulsive shopping. In fact, many compulsive shoppers may minimize their problem if they don’t have debt. That was definitely the case for me in more recent years, although I had considerable debt when I was younger and had to be bailed out of debt twice by my father, once by an ex-boyfriend, and once through a debt consolidation service. Besides debt, another sign relates to the time and energy spent on shopping and shopping-related activities, including participation in style/fashion forums, reading fashion magazines and blogs, and browsing e-commerce sites. If it gets to the point at which shopping and related pursuits are pretty much one’s only hobby and the majority of one’s free time is spent on such activities, that is a definite red flag. Back before I started my blog, I was spending at least three to four hours per day going to physical or online stores, visiting fashion forums, and reading style blogs and magazines. I really didn’t have any other hobbies at that point. Dr. April Benson, the author of “To Buy or Not to Buy,” has termed this phenomenon “the poverty of the soul.” A shopaholic may not always be in financial debt, but she almost always will feel a sort of “void” in her life and in her soul, an emptiness which she is trying to fill through shopping that is only worsened through that activity. As with any other compulsion or addiction, a tip-off sign can be an inability to stop. If someone starts to see that she may be shopping too much but is unable to cut down, it is very possible that she is a shopaholic. Other signs include lying about purchases, hiding what one buys, practicing “creative accounting,” and frequent returning (what I have called “shopping bulimia”). I wrote about this issue in the following post, which may be helpful to you: https://recoveringshopaholic.com/shopaholic-lies-and-covert-operations/. For women who shop a lot for clothes, an overly full closet can be a sign that one has a shopping problem, especially if there are lots of items with the tags still attached or even still in bags in the back of the closet. A burgeoning wardrobe was definitely a sign for me that I was shopping too much. I wasn’t even wearing many of the new pieces that I purchased. The act of shopping was a much bigger driver for me than a desire to actually wear what I bought. I was bringing things in so often that I didn’t even have time to wear them! In fact, tracking my wardrobe is what really got me to see that I had a problem (one of my first posts was about this: https://recoveringshopaholic.com/what-i-did-and-didnt-wear/ ). After seeing that half of my clothes were only worn once or not at all in 2012, I started my blog in January 2013, and I frequently write about wardrobe management as well as shopping and shopping psychology. What are the reasons you think people become shopaholics? I believe that the reasons for compulsive shopping are similar to the reasons why a person develops any sort of addiction or compulsion. A person who shops too much is usually trying to deflect attention from the problems in her life that she doesn’t want to think about (Note: although I mostly use “her” in these answers, almost as many men as women are shopaholics – they just shop for different types of things). It is a lot easier psychologically to go shopping, for example, than to deal with a bad marriage, difficult family situations, an unfulfilling job/career, or any other type of personal problem. Low self-esteem is often present among overshoppers and the shopping serves as a means to try to feel better about oneself through the acquisition of various consumer goods. The items purchased may be aimed toward enhanced status, such as designer clothing, shoes, and handbags for women or status electronics and other gadgets, watches, and even cars for men. The buying is often a way to try to fit in and gain acceptance, as well as a way to feel “good enough” within oneself. I have definitely had confidence issues for my entire life and I thought that if I could just dress well enough, I would feel better about myself and be more liked and accepted by others. Another reason why I shopped too much that applies to many other shopaholics is loneliness and a desire for connection. 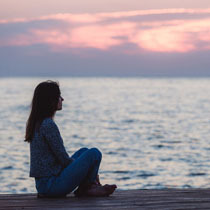 I didn’t have a lot of friends and spent much of my time alone, but when I went to the mall or boutiques, I got to connect with salespeople and other shoppers and thus felt less lonely as a result. I went to the same stores so often that I formed sort of pseudo-friendships with sales associates that I mistook for deeper connections than they actually were. Other reasons for overshopping include depression, boredom, avoidance, poor body image, peer pressure, past poverty/deprivation, passive aggression, and symptom substitution. I briefly outline each of these reasons (and highlight the reasons above more as well) in this post. Dr. April Benson gives 11 possible reasons for overshopping in her book “To Buy or Not to Buy.” I wrote about those reasons and how they impacted me personally in this blog post from 2013. Do you think people are influenced by others when shopping? Shopping with friends or family members can be problematic as well. In such instances, peer pressure can often propel us to purchase things that we wouldn’t buy otherwise, whether it be particular types of items or a larger volume of items. Friends can also push us to try on things we wouldn’t consider if we were shopping alone. While that can sometimes be a good thing in that it pushes us outside our comfort zones, it can also lead us to buy things that we don’t really love and won’t use. I write more about this issue in one of my early posts back in March 2013. Salespeople also influence what we buy, especially if we form relationships with them. We can forget that their job is to sell us as much as possible and that many of them work on commission. They are often not very objective in their opinions and sway us to make purchases that don’t suit our bodies, personalities, or lifestyles. For this reason, I recommend that people don’t become too “chummy” with salespeople. While one should always be respectful to store personnel, mistaking them for friends usually only leads us to buy more. The article I linked to above about salespeople offers some tips for successfully dealing with them while shopping. What are your top tips to stop people from overindulging in shopping? Compulsive shopping is rarely about the clothes, shoes, accessories, or whatever a person is overbuying. I think the best way to avoid becoming a compulsive shopper or developing another type of addictive behavior is to face one’s issues in life instead of avoiding them. Yes, avoiding difficult situations through shopping does make you feel better for a time, but in the long run, it actually makes things worse. It creates additional problems while doing nothing at all to address the initial challenges that you were trying to avoid. It is easier said than done to face our problems instead of avoiding them, but that’s really what we need to do. We need to develop coping mechanisms that serve us rather than counterproductive behaviors like overshopping. Cultivating other hobbies and interests and supportive friendships can be good ways to help inoculate one from becoming a shopaholic. Also, it’s important to see value in oneself beyond appearance, which can be quite difficult in today’s very image-conscious society. But if we value ourselves more for what we do and who we are rather than what we look like, we will be less likely to seek validation and acceptance through what we wear. “You Are What You Wear: What Your Clothes Reveal About You” – Jennifer Baumgartner, PsyD. Track Your Spending: Track your spending on clothing, accessories, and related expenses for at least a few months and review the numbers. What you discover may surprise you. Don’t beat yourself up about it. That never helps anyone to change. Simply ask yourself if what you spent was reasonable for your budget and lifestyle. If not, what would have been a more reasonable amount to spend? Track What You Wear: Track how often you are wearing the items in your closet. One useful way of doing this is what I call the “hanger trick.” Turn all of your hangers so that the hooks face outward instead of inward. As you wear items, turn the hangers to face inward (what most people would say is the “right way”). After a month or two, look to see what you have and haven’t been wearing. This tracking method is easy but enlightening! As you see how much of your wardrobe you aren’t even wearing, it may help motivate you to tone down your buying and “shop your closet” instead. Deal with “Wardrobe Benchwarmers”: Go into your closet and find all of the garments that have received little or no wear over the past year. Either keep these pieces in a designated area of your closet (ideally front and center) or use binder clips, hang tags, or some other method to identify them. Then push yourself to wear and evaluate each item. If you have fluctuated in size recently, it may be helpful to try on all of your “benchwarmers” to make sure they still fit you. That way, you can potentially cull some of your wardrobe right away. If you still love certain pieces but they don’t fit you at your current size, either box them up to re-evaluate later or relocate them to another area of your house. Determine Your Ideal Frequency of Wear: Decide how often you’d ideally like to wear the items in your wardrobe. Then do the math to determine how much you really need. The numbers will likely surprise you! For example, if you want to wear everything in your closet 10 times per year on average, you will only need 36 maximum of each category (tops, bottoms, shoes, outerwear). You may opt to select different wear frequency goals for your various wardrobe categories (e.g. higher wear numbers for shoes, bottoms, and outerwear than tops since we generally have fewer of those items). Do a “Closet Audit” Before You Shop: Take a few hours or a full day to go through your closet before shopping for new clothes (or at the beginning of each new season). Try everything on and evaluate how each piece fits your body, lifestyle, and personality. Ask yourself some powerful questions, such as: Do I love it? Does it fit my lifestyle? Do I feel good when I wear it? Would I buy this item today? Shop with a Budget and a List: Set a clothing budget and stick to it! If you don’t have an overall clothing budget, at least set a limit for each shopping trip. It is often helpful to leave your credit cards at home and shop with just the amount of cash you would be happy to spend on that given outing. Shop with a list and only buy what’s on your list. Compile the list after reviewing what you currently own and your individual lifestyle needs. Buy for your current lifestyle, not a past, future, or imagined one. Use the “Power Pause”: If possible, take a “power-pause” before buying (I borrowed this term from Jill Chivers of “Shop Your Wardrobe”). Wait at least two hours or ideally two days between finding something you “have to have” and actually buying it. If you can’t wait two hours because of logistical issues, at least take a few minutes to walk away and re-group. Take a restroom break or get something to eat or drink. While you’re away, consult your shopping list and think about what you currently have in your closet. Is what you’re thinking of buying similar to what you already have? Can you see yourself wearing the potential new item within the next week? Will it work well with your existing pieces and your lifestyle? How to Buy Clothes You’ll Actually Wear: Go to your closet and look at your favorite wardrobe pieces, the items you wear over and over again. Jot down the common elements of these garments. What makes you reach for them time after time? Do the same for the things that just sit in your closet collecting dust. What characteristics of those pieces lead you to pass over them when getting dressed? When you shop, aim to purchase items with similar qualities as your tried and true wardrobe workhorses. If you buy things that reflect your personal style preferences, you’ll be much more likely to wear them. If you choose to veer off-course to sample new trends, tread lightly. Just buy a piece or two of the “shiny and new.” See how often you wear the new garments before adding more such items to your closet. How to Approach Sales Shopping: Take a few moments to jot down your price expectations for various wardrobe categories. It may be helpful to break things down into sub-categories as well (i.e. separate out t-shirts from blouses and divide tops by sleeve length if applicable). Get down on paper – or screen – how much you expect to spend (and are willing to pay) for particular items. When you shop, have this information on hand (perhaps include it in a note on your phone). If an item in question is priced lower than your standard amount, ask yourself if you’d be willing to pay your usual price-point for it. If the answer is no, walk away! Use sales as an opportunity to purchase brands and styles that you otherwise wouldn’t be able to afford, not as a chance to “stock up” on quantity over quality. But still be mindful of how you feel about the item in question. Don’t buy something just because it’s marked with a particular designer’s logo. You should always love everything you buy, no matter what the price. In short, never lower your standards! Track What You Buy and How Often You Wear Your New Purchases: Create a simple spreadsheet to track the new clothes, shoes, and accessories you buy within a given year. Make note of the cost of each item, as well as any additional charges accrued through necessary alterations. If you return, donate, or consign anything, strike-through that line but keep it on your spreadsheet. It’s also helpful to add a note about why that piece left your closet. Keeping track of what you buy and how often you wear your wardrobe pieces can help you to shop smarter in the future. If you notice that you buy a lot of high-heeled shoes, for example, and never wear them, that’s a clue to stay away from such purchases during future shopping trips. On the other hand, if you find that you wear your ballet flats into the ground, you can feel free to purchase future pairs knowing that they’ll be worn time and again. For additional shopping and wardrobe management tips, see the “Recovery Tips” page on my blog. 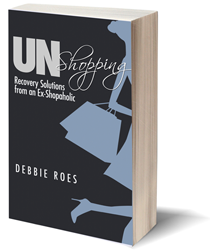 A more comprehensive collection of shopping tips can be found in my first book, “UnShopping: Recovery Solutions from an Ex-Shopaholic.” This book contains the best of my smart shopping solutions, categorized into logical sections related to various shopping-related situations. 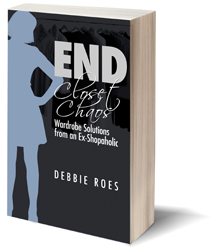 I also wrote a second book, “End Closet Chaos: Wardrobe Solutions from an Ex-Shopaholic,” which contains many wardrobe management strategies for addressing various closet conundrums. How did you overcome being a shopaholic? I don’t consider myself “recovered” yet and I may always be a “recovering shopaholic” I think I will always be at risk of using shopping as a coping mechanism, just as I am always at risk for disordered eating (I had an eating disorder for almost 20 years). During times of high stress, I have to be especially careful not to resort to overshopping to try to manage my anxiety and “numb” my feelings. That said, I have made tremendous progress and feel that I am probably 75% or so “recovered” at this point. Blogging has been instrumental in my recovery. I publicly admitted I had a problem and stopped hiding it and being ashamed of myself and my behavior. I created some goals and rules for myself, both financial and behavioral. I decided to use the blog as a way to keep myself accountable – and to connect with, inspire, and be inspired by other shopaholics who also wanted to mend their overshopping ways. Once I started to get readers (within weeks, I had comments), I wanted to inspire and uplift other compulsive shoppers, so that helped me to stay on track or get back on track when I faltered (which was often early on and still happens from time to time). It has been a long process with lots of ups and downs. To help myself along with my recovery, I used all of the tips above, as well as others outlined on my “Recovery Tips” page and throughout my blog. Another thing that helped me a lot was participating in the minimalist fashion challenge, Project 333, which involves dressing with a capsule of only 33 items for 3 months. Doing that, which was very difficult for me at the outset, showed me that I didn’t need as many clothes, shoes, and accessories as I previously thought and that I actually dressed better with less (see this post for more benefits I gained from that challenge). My readers have also helped me a great deal. They have shared their stories and revealed what has worked for them. They have also made suggestions for me and asked me difficult questions along the way. There is strength in a community for sure. I believe that’s why 12-step groups work so well. There isn’t a 12-step group specifically for shopaholics, but many have received great support from Debtors Anonymous. I never attended that group, but it’s a good option for others to check out (see this recent guest post from someone who benefitted tremendously from DA). I have made excellent progress over the past three years and feel so much better about myself as a result. I no longer lie to my husband about my shopping and our relationship is much better as a result. My closet is far more manageable and I’m happier with my wardrobe. I’m also developing new hobbies and interests (such as photography and cooking) and no longer feel so “one-note” in terms of how I spend my free time. In addition, I don’t want to let down my readers, as many of them depend on me to keep moving forward and inspiring them to do the same. I never want to go back to how things were before. My life has a lot more meaning now, I have greater confidence, and I am a deeper and more compassionate person who isn’t so self-absorbed. Shopping never helped me to become a better person. It was a way for me to avoid thinking about my problems, but it didn’t solve anything. My problems just kept getting worse, plus the shopping created more problems in my life. I’m now facing my difficulties and working through them, which is ultimately much more rewarding and fulfilling. GREAT posting, Debbie. You hit all the key points very eloquently, especially in noting that debt is not the only symptom of compulsive shopping. Many people I know who are “shopaholics” have very little consumer debt — but they have no retirement savings, still rent because they can’t accumulate enough funds for a down payment for a house (even though this is a stated goal), or otherwise postpone many other goals and desires because they have a closet full of clothes with the price taps still dangling from the garments — and very limited discretionary funds for their “real” goals. I curbed by “over-shopping” tendencies decades ago (helped by family values which emphasized experiences over “stuff” and by having almost no closet space for most of my adult life — due to a penchant for living in closet-challenged older homes). I work in retail and even so I seldom buy anything that is not a planned purchase from an ANNUAL spending plan. Even replacing undies is part of my annual plan, so you see I really work at keeping my purchases under control and my wardrobe well-managed by limiting impulse buying and other diversions. Good work on your recovering process. Thank you for your kind words on my post, Dottie. Good point about many shopaholics not having any debt but having other financial issues which are often downplayed in the discussion of compulsive shopping. The situations you mentioned can be major side effects of too much shopping for sure. I think it’s helpful for anyone to consider what their life goals are and how their finances are or aren’t supporting those objectives. Hi Debbie. Exceptional article. If you never write another word, your work here is done! I think this article is essential reading for compulsive shoppers & would make an excellent e-book. I will return to these wise words often! I really appreciate your high praise on this post, Sharon! Perhaps it would make a good e-b0ok – I hadn’t thought of that, but it’s an idea that I will consider. Sorry to hear that the past month has been challenging for you, but good noticing about what your buying multiples is really about. I encouraging you to keep looking at the underlying feelings and to perhaps journal about it (or talk to a trusted confidant, whether it be a friend, therapist, or clergy member). Best wishes to you with turning your behavior about. Having ups and downs is SO normal in the process, but every day is a new opportunity to learn, grow, and change. Keep up the fight! Debbie–I wrote and it went to cyberspace. I will redo, but if it shows up later, there will be two similar posts. Sorry. Anyway, I asked if you had a degree in psychology. Would you consider becoming a therapist? With your gift of empathy, analysis, understanding of humanity, I think you would be superb in that field. And it’s never too late. You already serve in that capacity for many; people need you! Thanks for your insights. Your most loyal non-shopaholic, H.
Sorry about your response going into cyberspace, Helen, but I’m glad you decided to try again. Yes, I have a master’s degree in psychology. I was originally going to become a therapist and it’s a bit of a long story as to why I didn’t do it. Thank you for your kind words about my positive qualities. I don’t know what the future holds for me, but I hope to be able to continue helping people through the blog, my books, and perhaps in other ways, too. I agree that it’s not too late. I’m glad that you and other non-shopaholics also enjoy and benefit from my blog. Debbie, this is an excellent article, beautifully written and reads like a map for anyone who shops too much and has a sincere desire to stop and turn their life around. Prior to 2010 I felt that I shopped and bought far more than I needed, and although I did not fit any of the red flags you mention, still my closet was bursting with clothes that I did wear, yet no sane person should need as much as I had. Once it occurred to me that I was dancing dangerously close to the edge I changed my behavior. I’m sharing this with the hope that there might be a reader out there trying to justify her habit of overshopping because, like me, she does not fit any of the red flags. In our heart of hearts we know when it is too much, and time to stop. Ending unnecessary shoping and discovering that less is more is one of my best accomplishments. Thank you for the work you do here so that others can also learn positive shopping behavior. I appreciate your sharing some of your story here, Terra. There probably are other readers out there who better fit your situation than what I went through and wrote about here. I’m so glad that you were able to recognize when your shopping and wardrobe size were too much and turn things around without having to suffer some of the negative effects that I and others did. I think you’re right that deep down, we know when it’s too much and things need to change. Thank you for your kind words about this post and my blog in general. This is so tremendously helpful, what a fantastic resource this post is. Thank you so much. I really appreciate your coming here to say this, Lori. I’m very happy that you feel this way and find the post to be a valuable resource. Thanks for bringing us along with you on your journey, Debbie. You’re welcome, Jane. I’m so happy to have found an audience and to be helping others who struggle in similar ways as I have. You all help me a lot, too, and it means a lot to me that you’re there reading my words! Never thought I’d say that, but I am happy to be a part of it, hehe! No, seriously, I may not comment much, but I am enjoying the posts a lot, and I too think that this particular one is one of the best that have ever been written on this topic! As for me, yes, I think I am doing some progress, but it’s a slow progress. It may be even nonsense calling this a progress, since I am not really spending less, only buying less. The real progress to me however is that I stopped thinking about fashion and clothes all the time. I really hope it’ll last, since it feels like some sort of liberation. Thanks for being there, Debbie, thanks for sharing your experience, and above all, thank you for all the kind words you always find to say. Thanks so much for your comment and praise, CristiLu. I would say that you HAVE made progress based upon what you wrote and it’s okay if it’s slow progress. Buying less and thinking less about clothes and fashion is definite progress even if you’re still spending about the same amount of money. It IS liberating to be free on the constant rumination on these topics. I hope it will last for you. There may be ups and downs along the way, but if you keep moving forward one day at a time, you WILL get to a better place with shopping and your wardrobe.